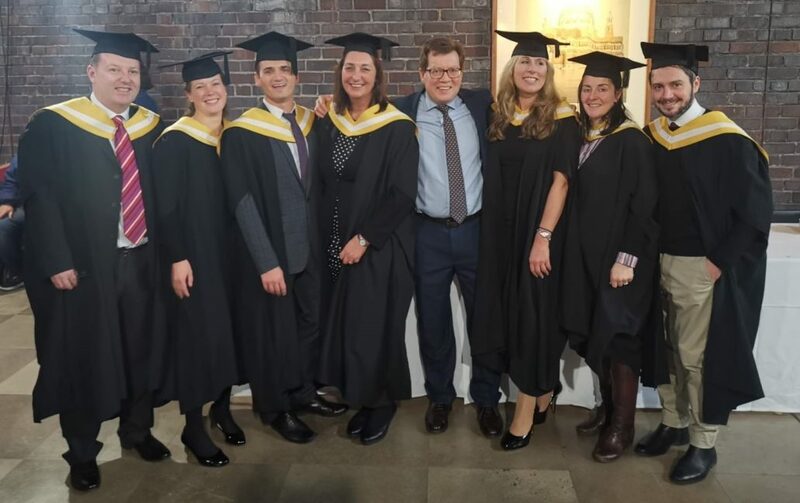 On Tuesday, after two years of hard work, seven graduates received their Master of Business Administration in the Thoroughbred Horseracing Industries degree from Liverpool University. All of the students that had been studying part-time while also managing full-time careers, either work in or would like to join the horseracing industry. We are proud to say that one of the graduates was Racing to School’s Fundraising and Communications Manager, Rob Sage, who achieved a distinction. 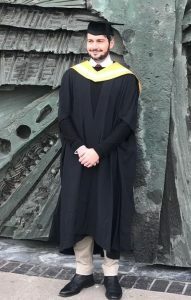 Reflecting on his two years of study, Rob said: “It has been a long journey, including a lot of late nights and weekends, but I am delighted to have come through it. The most rewarding part of the course has undoubtably been meeting my course mates, all of whom have been great, and we have all helped each other make it through. Rob’s dissertation broke new ground by analysing field sizes over the past 10 years to highlight trends and conditions to support industry development in this area. The following day, Haydock Racecourse hosted some of the MBA graduates, whose achievements were highlighted by a race title on the card. The European Breeders Fund’s David Letts, who was student of the year, presented the trophy to winning owner Mike Grech, whose Mr Whipped was an impressive winner. 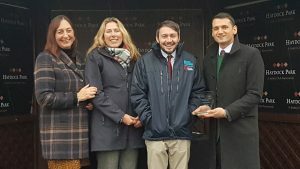 Also, in attendance, and rounding of an impressive show by staff from racing charities, were graduates Simone Sear, Director of Welfare at Racing Welfare (who also achieved a distinction) and Gillian Carlisle, Chief Executive of the Thoroughbred Retraining Centre. The Thoroughbred Horseracing Industries MBA is delivered through an exclusive partnership between Liverpool University, The Racing Foundation and the BHA. The programme combines the expertise of the University’s Management School in sporting industry management, with the specialist equine knowledge of the University’s School of Veterinary Science. As an MBA programme it has the real business focus that management positions in modern horseracing demand. This includes modules such as Racecourse Management, Equine Welfare, Sports Law and the Economics of the Global Thoroughbred Industries. 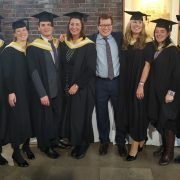 Some of the research conducted by this year’s graduates for their dissertations will be presented at the Horseracing Industry Conference 2019, which will be held at the University of Liverpool’s London campus on Tuesday 5th February. You can register to attend the event here. If you are interested in finding more information out about the MBA, you can contact course leader Neil Coster at neil.coster@liverpool.ac.uk.